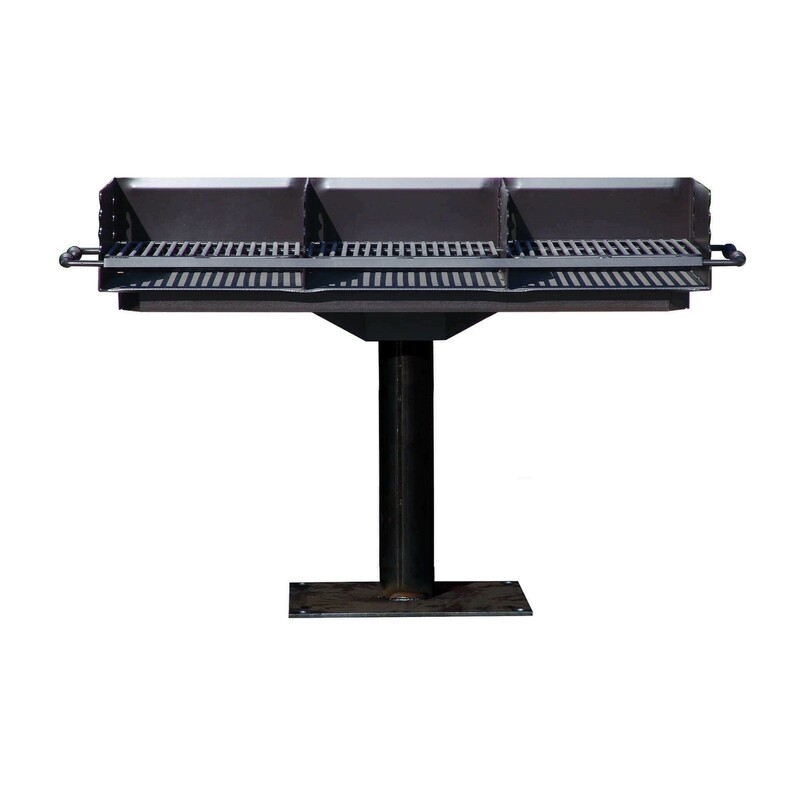 Triple Bay Steel Construction Group Grill - 290 Lbs. 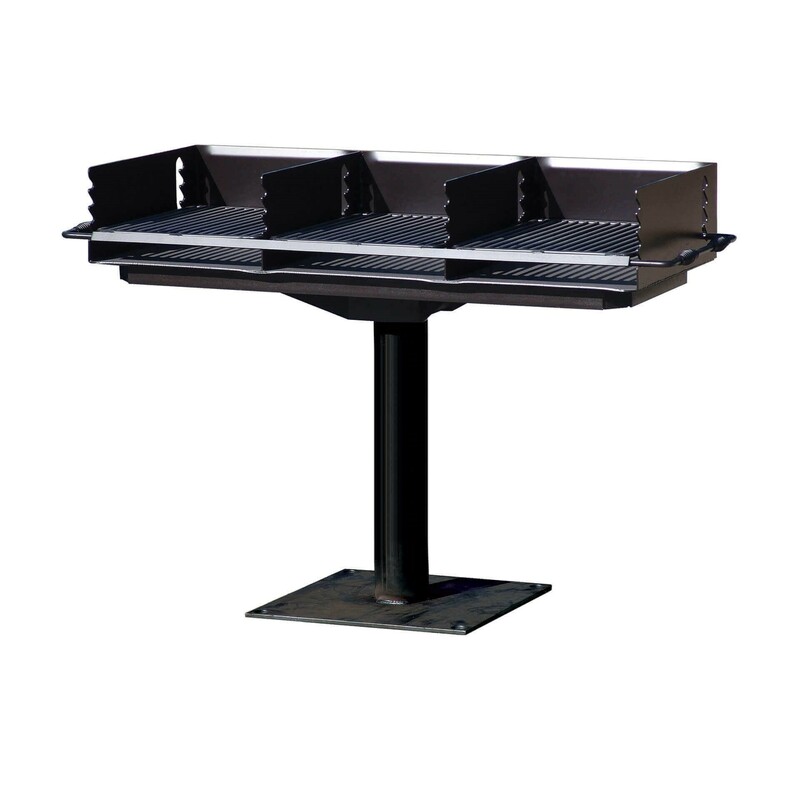 Our Triple Bay Steel Constructed Group Grill is perfect for parks, campgrounds, and national landmarks. This grill provides over 8 1/4 square inches of cooking space for a higher food quantity at any given time. Take full control of your cooking with an adjustable grill height, heat control, and a 360-degree grill swivel. This grill is made out of 7 gauge steel plate with a high-heat black enamel finish, ensuring the grill will last a lifetime. A cool-touch wire spring handle is also included for safe handling. 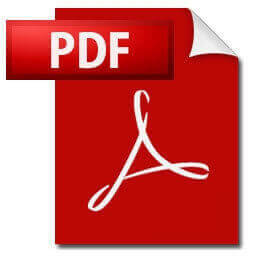 Choose between either a surface mount or in-ground mount option which is available at an up charge. This comes with a limited 5-year commercial warranty and is made in the USA. 6 Ft. Oval Expanded Style Thermoplastic Picnic - 185 Lbs.